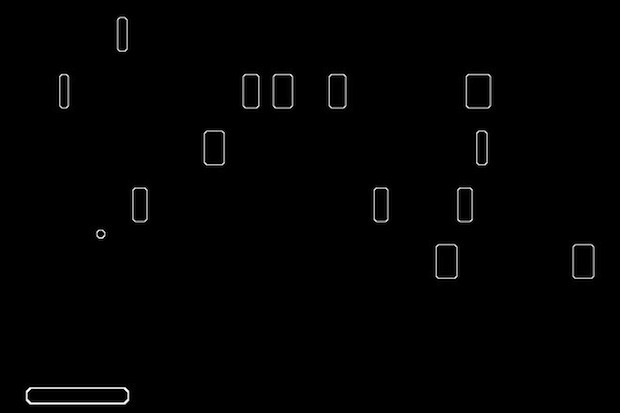 For those young enough to remember, Arkanoid is an old arcade game developed in 1986 similar to Atari’s Breakout game from the 1970s. The game is quite simple. The player is equipped with a paddle and one has to keep a ball from falling off the screen by bouncing it up and destroying the blocks in one's way. Once your path is cleared, you advance to the next level. Now Magic Lantern’s pravdomil has developed the ability to play a stripped down version of this old 1980s brick breaker-style game on the Canon EOS-7D camera. When the 'blocks' are destroyed, they explode into a number or figure that falls down and disappears. Maneuvering the paddle is done with the camera's joystick, and the game begins when the LCD monitor stops being black. For some unknown reason, the developer of the game pravdomil deleted the Arkanoid game from his repository a few days ago. This unique 'game on a camera' may eventually make its way onto an upcoming Magic Lantern release for the EOS-7D together with continuous RAW video.